I always wanted to be a mom who wore her babies! 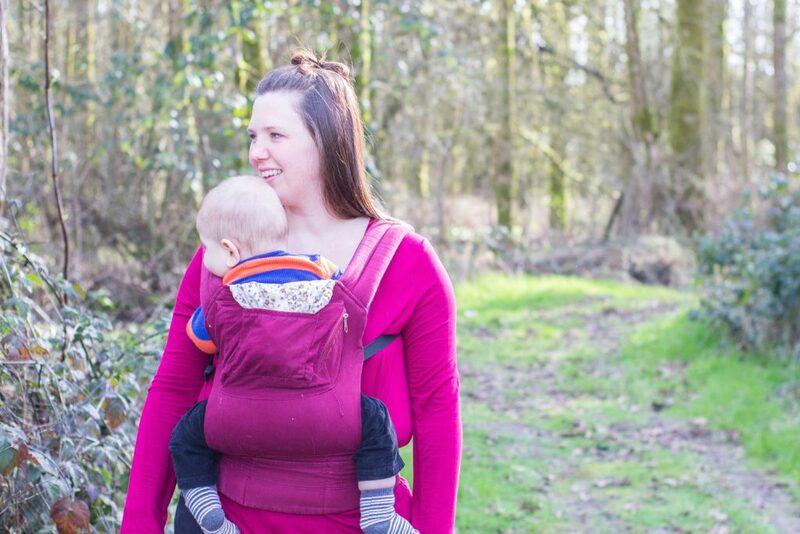 Throughout my first pregnancy I read all about the benefits of babywearing and knew it was for me. Unfortunately, Caleb was a punk of a baby and refused to be worn more than half a dozen times or so. Yeah, he screamed ALL THE TIME and needed to constantly be held but heaven forbid I wore him… Psycho child. 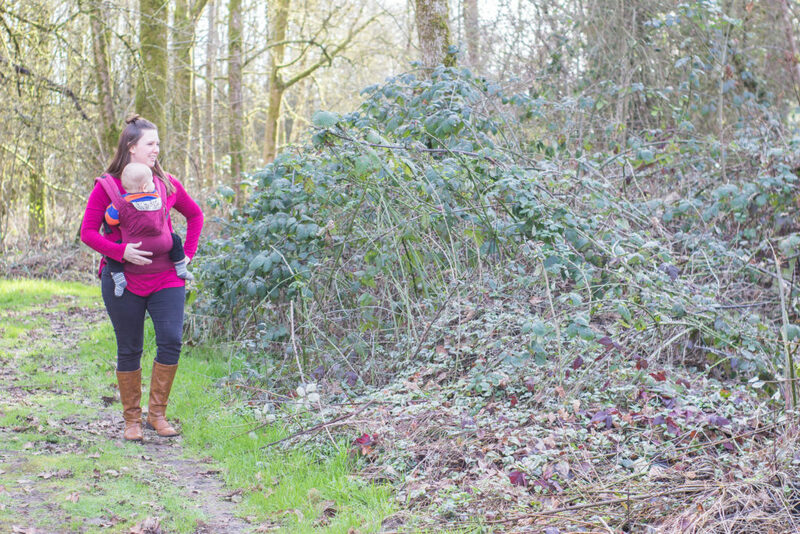 😉 Throughout my pregnancy with Josiah I, once again, planned on babywearing. Thankfully, this time around my baby is much more compliant and he adores being worn! 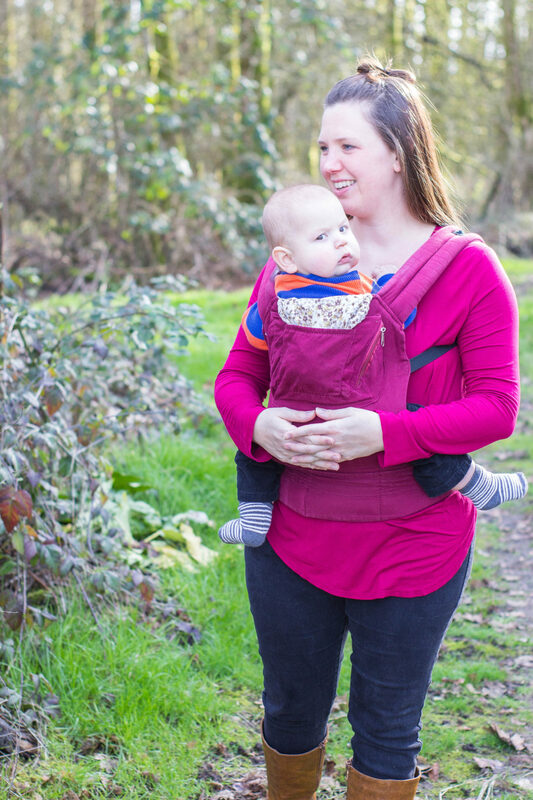 I’m thankful that I have all sorts of babywearing friends and was able to try out a whole bunch of different slings, wraps, and carriers to figure out while one(s) worked best for Josiah and me – especially since I have a really bad back. I put my baby on during his first week of life and haven’t looked back since. The transition from womb to outside world is an adjustment for your precious little one. 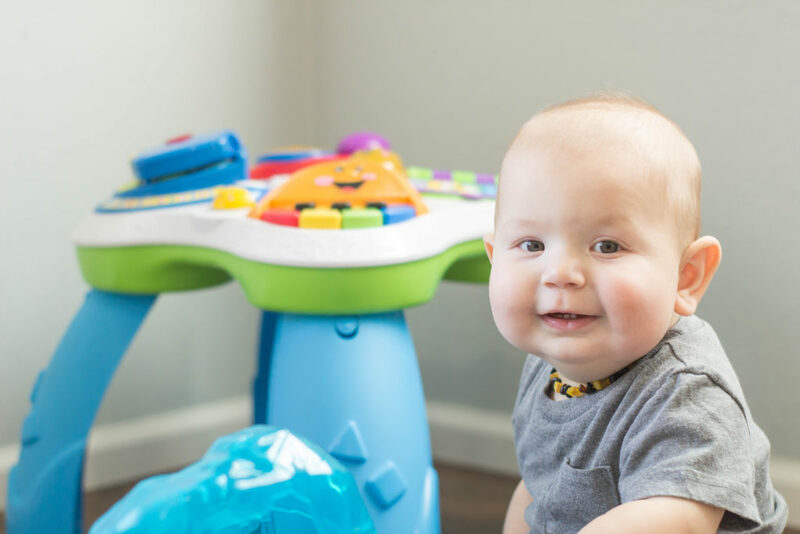 After spending around nine months tucked away in his or her little cocoon, (s)he enters the world with all sorts of room, noise, and stimulation. It’s no wonder babies want to snuggle up with their mamas during the fourth trimester (the first three months of life). 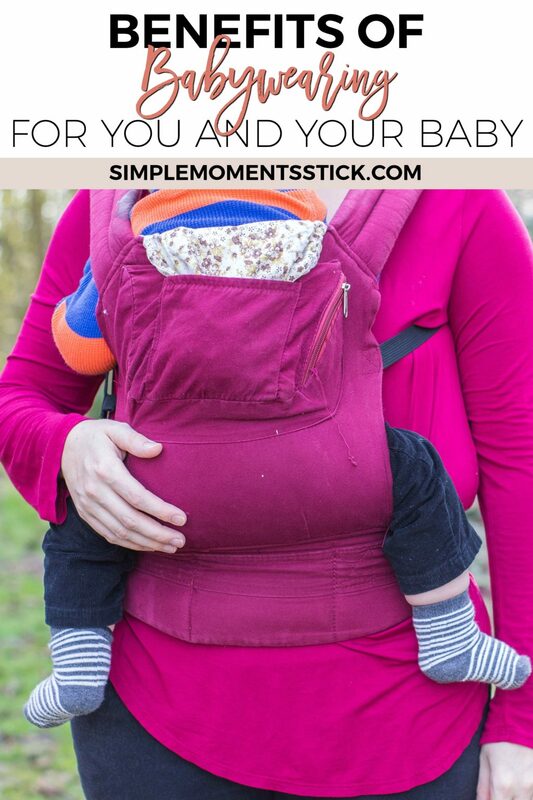 Wearing your baby allows him or her to be close to you at all times – a place that is recognized and appreciated by your tiny human. Being close to your baby promotes bonding between the two of you. 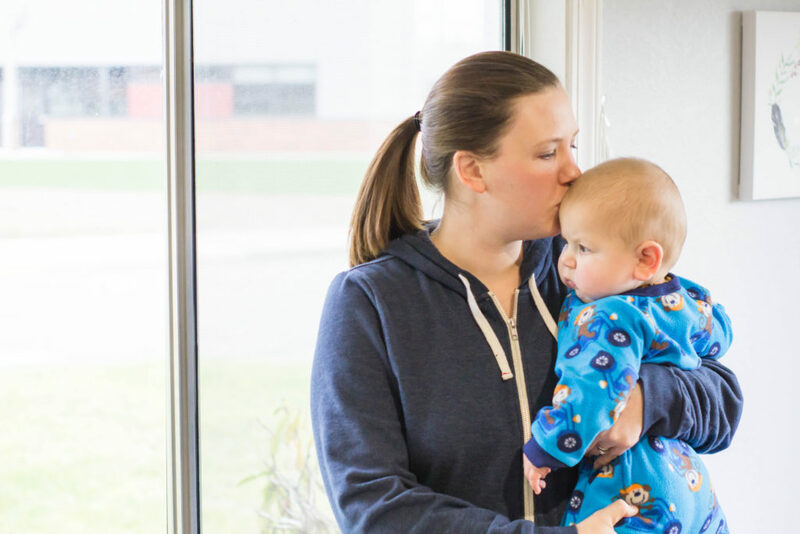 As you cuddle them, sing and talk to them, walk with them, and feed them, your bond grows and grows – something that is precious between a parent and child. 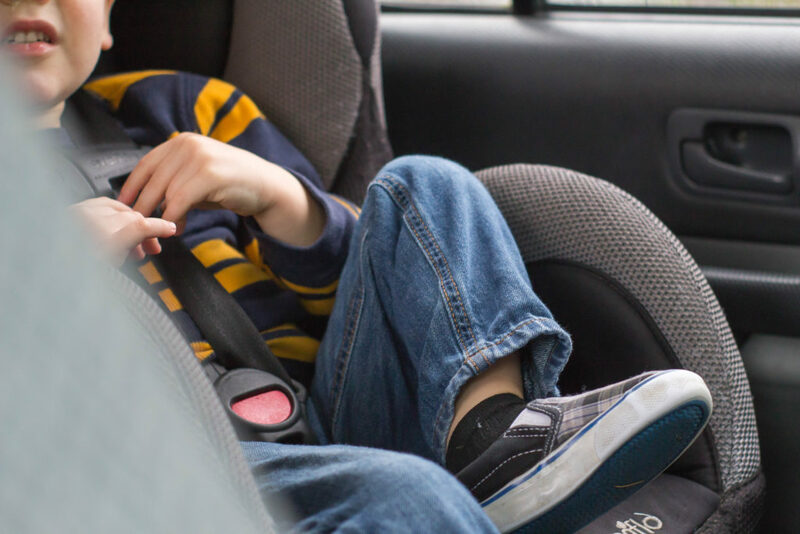 If this is your second child, chances are your first child wants to be out and about, doing the things (s)he is used to doing. 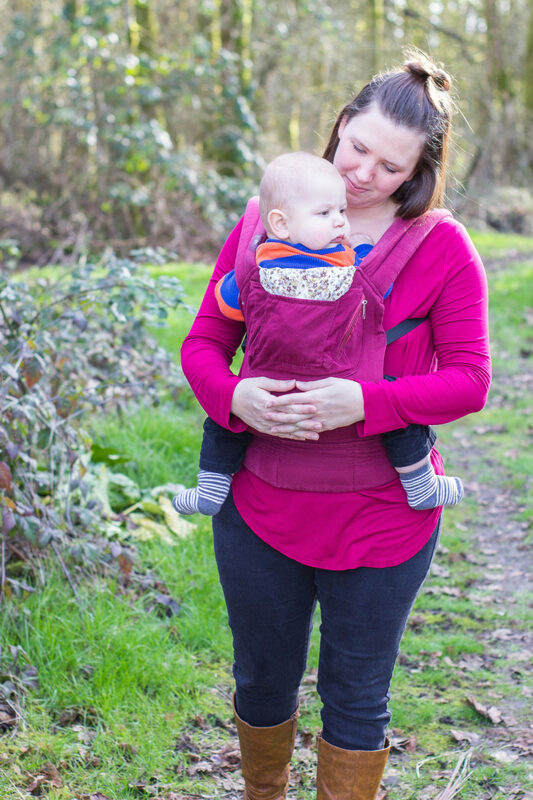 Wearing baby #2 allows you to get out and about while, once again, snuggling your tiny (or not so tiny) babe. It’s a win-win-win situation. (Any The Office fans out there?) Your older kiddo will feel valued and loved while your younger does too! When baby is attached to you, (s)he is continually being bombarded by the world. They hear you talking and watch you interact with others. They are up close to your face so they see your facial expressions and the facial expressions of those you are interacting with. They’re also talked to since they’re face to face with others. You’re not harming your child by not wearing him. You’re not causing a lack of bonding in your child by not wearing her. Like I said at the beginning of this post, Caleb WOULD NOT let me wear him. He is still such a wonderful child and we are bonded extremely well. Would things be different if I had worn him? Probably. But things would be different if I had done ANYTHING different in the way I interacted with him as a baby. Don’t beat yourself up if you don’t want to wear your baby or if your baby doesn’t want to be worn. You just love your precious little one with all your heart and do what’s right for your family! <3 Zero mama shaming from me! Do you babywear? Does your baby love it? What other things do you do to promote bonding with your baby?